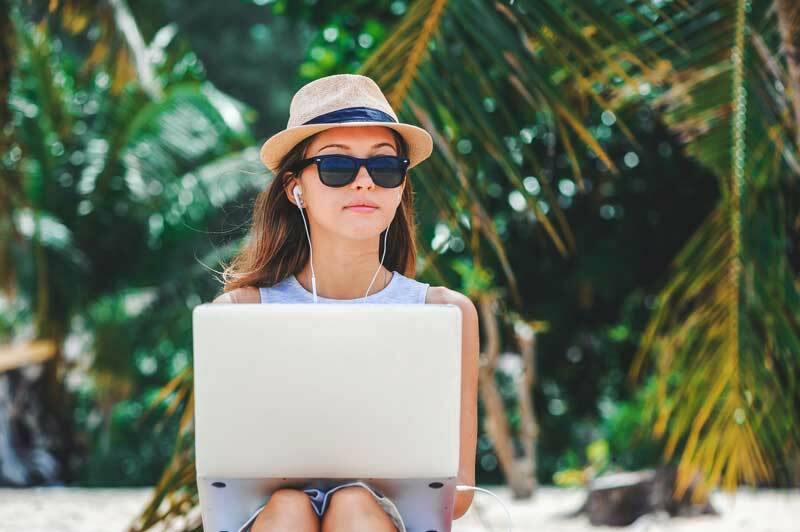 Even for those living the location independent lifestyle, the definition of a digital nomad might be unclear. The work & travel subculture that has exploded in the last 10 years has many faces. Technology changes rapidly but Internet cultures, subcultures, and communities evolve and morph at a blistering pace. According to Wikipedia, Tsugio Makimoto and David Manners wrote a book in 1997 called Digital Nomad. This is likely to be when the phrase was coined. Is working online in remote countries in 2018 different than back in 2008? Is the digital nomad definition outdated? How many nomads are there and how do they make money? I've been location independent for 4 years and I've spent the last 20 years living in places like Argentina, New Zealand, and Thailand for years at a time. Here's my guide to getting started with the work and travel lifestyle. A digital nomad is someone who desires the freedom to work and live anywhere and uses technology to make this desire a reality. Think of DNs as people who travel on a continuous basis, hopping from country to country while building or maintaining online businesses. Someone who lives in a different country to their own and works online can include themselves in this group. Two things stand out if you want to call yourself a nomad. You have a business that primarily uses technology (communications and the Internet) to sell, market, or deliver products or services. You travel or live abroad and work at the same time. The stereotypical digital nomad persona is the guy lounging in a hammock on a beach in Mexico, Thailand checking his affiliate sales on his laptop. This is a reality for some people. For most, the truth is different. And even if it were possible, the Piña Colada-sipping beach bum is not what most people aspire to be. 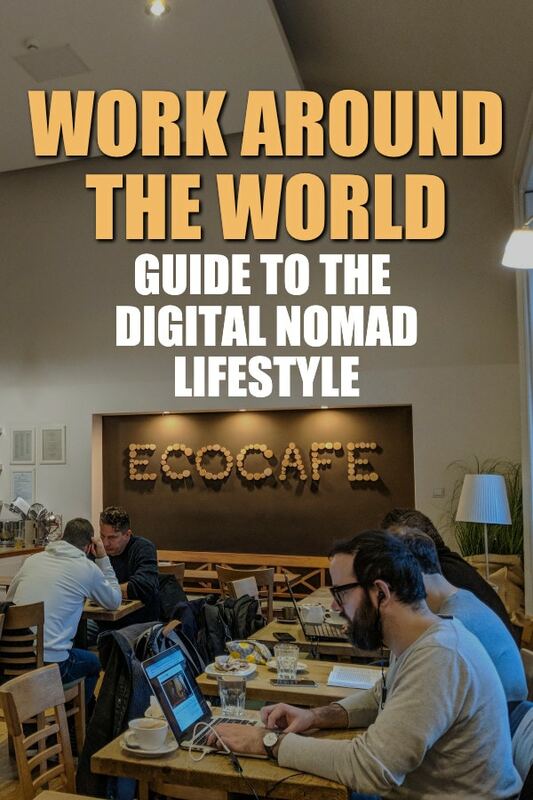 1 How Many Digital Nomads are There? 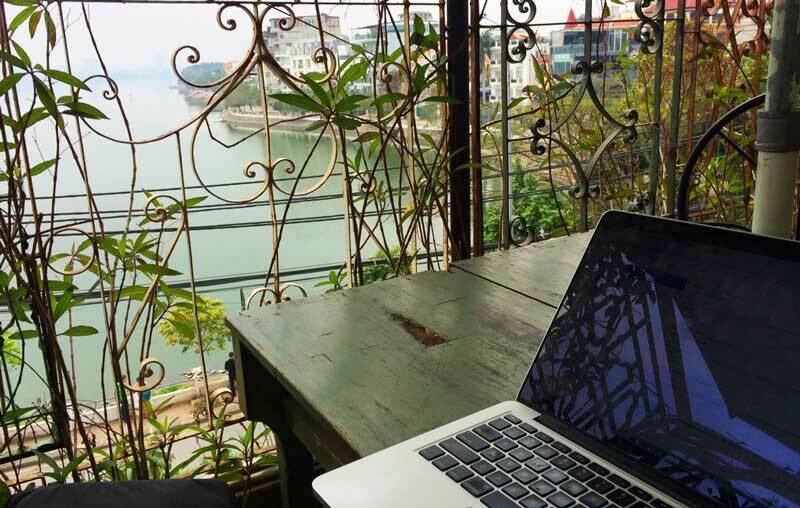 5 Who Are The Most Famous Digital Nomads? How Many Digital Nomads are There? Hard to say. It would depend on how you define the genre and would take some serious research to get accurate numbers. Not everyone talks about their online businesses and not everyone wants to use the term digital nomad. I’m quoting from the New York Times (that quotes Gallup) when I say that almost half of the workforce (43%) in the US worked remotely for some time in 2016. This number is sure to be higher in 2018. That’s a step towards remote working but it’s far from digital nomad territory. According to Pieter Levels, the guy who started NomadList, a.k.a., the Internet-age Yellow Pages directory for nomads, there will be 1 billion location independent professionals by the year 2035. That’s only 7 years away. Levels based the numbers on the statistics for freelancers in the US (about 30% of the workforce). He also used the trends in Internet broadband speeds, mobile data speeds, rising rents, home ownership numbers, and lower costs of technology to predict that the number of nomads will almost equal the population of current day China in a few years. Travel – This is the main motivation for people. Location arbitrage – For most people, charging in one currency and spending in a weaker currency gives them more spending power and a higher standard of living than they would back home. Networking – If you live overseas there’s a natural tendency to want to meet other expats for support. This is a great way of building your network. Long-term solo (as so many are) travellers tend to force themselves to meet new people (locals and foreigners) and this is a great way of meeting like-minded people and presenting yourself for opportunities. Inspiration – Living and working in another country is great for helping you to find new opportunities, learn other ways of approaching problems, and riding trends before they cross borders. Even seeing how other people do business can spark ideas. Want to live and work on the beach? Yes, you can do that. Want to make money in the US but live in Bali? Get yourself to Bali. Fancy a job that lets you travel all over the world and use location arbitrage to live cheaply in foreign countries? In 2018, this is totally possible. There’s one caveat. You’ll need skills or an idea that makes money. Unlike a regular job, you’ll work harder, at least at first, and you don’t get paid if the business doesn’t make money. Apart from Location:You (shameless plug) which deals with a wide range of topics including lifestyle businesses and independent travel, there are a few good blogs that offer support and helpful content. The Reddit Digital Nomad page (subReddit) is a lively discussion board for wannabe and current nomads. NomadList.com is a contender for king of the nomad websites. Started in 2014, the site has grown quickly and it’s a wonder nobody had done anything like this before. The format is simple. Each city is categorised and ranked based on its appeal. The ranking criteria include the cost of living, Internet speed, safety, coworking spaces, and access to airports. It’s a fantastic resource for remote workers thinking about relocating to another country. It’s easy to compare cities like Bangkok, Barcelona, and Ubud, Bali and see which one works best for you. Everyone has their preferences for the best nomad cities but this is a good place to start. 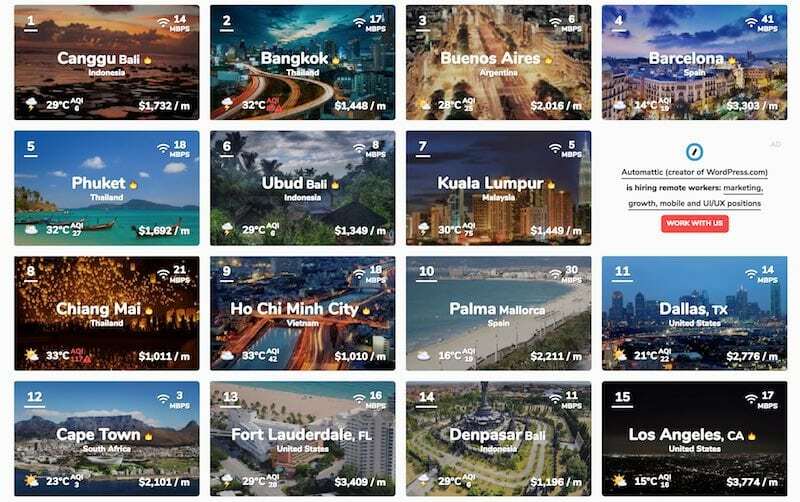 Some of the most popular destinations are Barcelona, Bangkok, Medellin, Ubud, Ho Chi Minh City, Chiang Mai, Budapest, Lisbon, Kiev, and Taipei. These are some of the best places in the world to live if saving money and having a good lifestyle are important. Bangkok, Thailand – An amazing city for expats with good public transport, amazing food, friendly people, and a big expat community. Cheap to live. Long-term visas can be hard to obtain. Chiang Mai, Thailand – More laid back than Bangkok. One of the top destinations for nomads. Great food, coffee, and very cheap living. Taipei, Taiwan – Not really on the radar yet but an amazing place for digital nomads and long-term expats. Superb public transport. A coffee heaven. Arguably the best food in Asia. A bit more expensive than Thailand but worth it. 3-month visas are easy to get. Medellin, Colombia – The rising superstar of South America. Beautiful weather, fantastic latino culture in a city emerging from a violent past. The food is not to everyone's taste. Some people may find that the onslaught of reggaeton music everywhere to be annoying after a while. The capital, Bogotá vies with Medellin as the best city for digital nomads in Colombia. Ubud, Indonesia – Well established nomad base in Bali. Could be considered ground zero for the community. Hubud is here as well as several other excellent coworking spaces. Incredible food. Friendly locals. Easy, cheap living. Plovdiv, Bulgaria – An up and coming location in Eastern Europe that has everyone buzzing because of the low costs and fast internet. Also check Bankso, Bulgaria. Budapest, Hungary – One of the most beautiful cities in the world also happens to be inexpensive and welcoming. Fast internet, great European cuisine, ease of access to the rest of Europe. Ho Chi Minh City / Saigon, Vietnam – A hotspot of South East Asia. HCMC is less-refined than Bangkok and feels even more chaotic. Fewer expats than Thailand and a very different cuisine and culture. Better than Hanoi, in my opinion. 3-month visas can be easily arranged in advance. Who Are The Most Famous Digital Nomads? The originals are people like Tim Ferris, Chris Guillebeau, Matthew Kepnes, Jodi Ettenberg, and Dan Andrews. Tim Ferriss, the man who wrote the bible for location independent entrepreneurs the world over, The Four Hour Workweek, no longer lives the lifestyle he espoused in the book. He’s more of a millionaire godfather to techies and lifestyle design entrepreneurs that travels from time to time. But it can’t be denied that his book helped spark ideas for thousands of businesses, create independent boss-free lifestyles for countless people, and kicked off the whole “lifestyle business” trend. Chris Guillebeau visited every country in the world and documented his journey on his excellent travel blog. His book The $100 Startup is a great read if you’re looking for ideas for a side project business. Matthew Kepnes, a.k.a. Nomadic Matt is one of the longest-serving travel bloggers and successful online business owners. His book How to Travel on $50 a Day is another must-read for budget backpackers and nomads. Matthew Karsten, A.K.A. the Expert Vagabond, is a superb blogger and photographer. And an all-around nice guy. Check out my Older Digital Nomad interview with Matthew. Dan Andrews runs the Tropical MBA podcast, one of my favourite travel podcasts. In fact, it’s one of the best-produced podcasts on any topic and worth a listen for anyone interested in business. The focus is on living an independent, travel-filled life by creating your own online business. Dan spent years building his business from up and coming nomad destination, The Philippines. Jodi Ettenberg is a travelling ex-lawyer who blogs about food. Her site Legal Nomads is very popular in the nomad community. 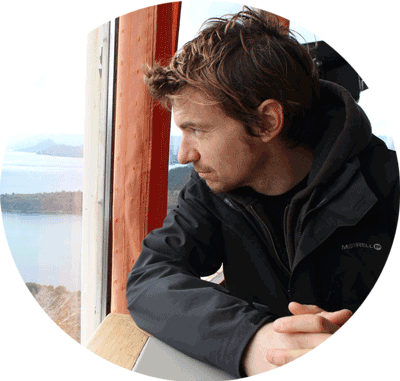 Prolific eBook writer, blogger, and helpful guy Ryan Biddulph produces tons of content on his blog Blogging from Paradise, a website designed to help you live and travel the world supported by your blog. The travel and work life isn’t just for young singletons. The World Travel Family website follows Alyson, a mum and leader of a digital nomad family blogging about her experiences on the road. Finding a job isn’t easy. There's a limited supply of jobs for an ever-growing nomad population. It’s probably easier to get yourself some freelance clients. Employers are coming round to the idea of their staff working out of sight and on their own time. It’s still too much of a leap for many companies but hiring remote staff can be one of the most beneficial moves any firm can make. One thing is certain: highly skilled people in niche markets can convince employers to get over their qualms with remote working. I’ve seen job offers for remote positions that offered salaries commensurate with the location. If you’re based in San Francisco (even as a remote worker) then the salary is higher than it would be if you take off to Thailand. Salaries generally keep in line with salaries for office-based workers. The work output should be the same, if not better, so employers have no reason to pay less. Companies like Automattic and Basecamp are almost completely remote-based businesses. Their employees work wherever they choose. There are restrictions on hours in some cases and performance levels to maintain so it’s not quite the same as having a lifestyle where you can roam and work freely. It certainly beats commuting to an office and sitting at a desk all day. Remote developer – Many companies see the value in hiring remote staff. Affiliate Marketer – A great way to get going without a product or service. It takes a lot of work upfront but once affiliate marketing starts to work, it’s a great business model for the independent entrepreneur. Drop-Shipper – Drop shipping is huge. This is one of those industries that most people don’t talk about, especially the ones that are killing it with their businesses (for fear of copycats). If you can find a profitable niche drop shipping businesses can be easily automated, freeing up your time for other projects or for more travel. Johnny FD is a well-known nomad drop shipper who talks about his successes and failures online. Freelancing – Web design, writing, marketing, web development, and many other jobs that don’t require a lot of face-to-face work are great options for working remotely. Building your own business online might involve a combination of all of the above. Running a business online is the dream of many and can be the quickest way to financial freedom. It’s also the riskiest way to go out on your own. The general advice is to have a business that makes money before you set out on your travels. Then again, following rules is not the way of digital nomadism. Sustaining a travel-based lifestyle from a passive income stream is the holy grail of the laptop lifestyle. You can monetize almost any idea, niche, or concept you can think of. It just takes some work finding the angle. But you can always copy proven strategies. For some passive income methods that work, check this post of over 45 different passive income businesses. The most important technological advance for this lifestyle was, of course, the Internet. Without the Internet, it’s still possible to work but it means relying on phones, faxes, and ‘outdated’ technologies. Check out this list of digital nomad tools for remote work for some ideas. The nomad cruise is a remote work, networking, and travel experience that brings entrepreneurs together for a week or two every year. The cruise sees 200 or more entrepreneurs connecting through talks, masterminds, yoga classes, workshops, and parties on a Mediterranean cruise. DNX is a popular nomad-focussed event that takes place in Lisbon, Portugal every year around September. The event is akin to a conference that offers workshops, talks, and networking opportunities to entrepreneurs. Nomad List – Not just a place to research cities but a lively community of travellers. The Dynamite Circle, the brainchild of Dan Andrews from the Tropical MBA, is a community for successful location-independent business owners. Definitely not for wannabes. 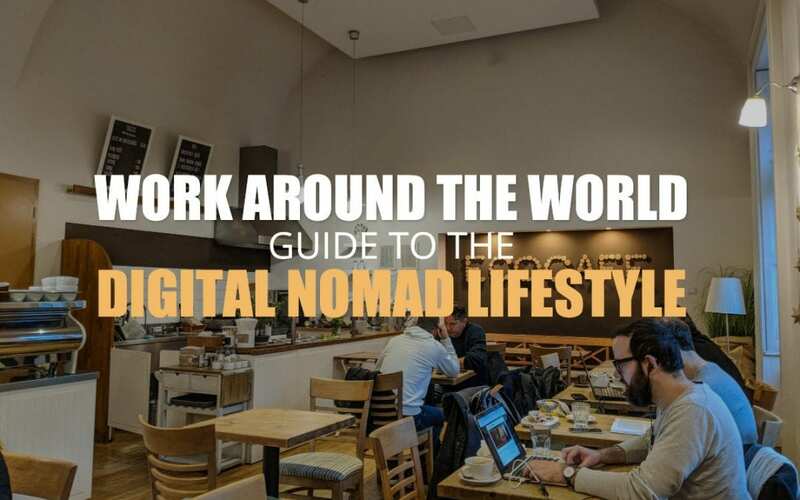 The Global Digital Nomad Facebook group has over 30,000 members and is very active. Digital Nomad Girls is a community for female online entrepreneurs. The site has some free information but the focus is on signing up members for their “inner circle”. One Way Ticket is a film created by Youjin Do about the growing trend of digital nomadism around the world. The film isn’t available online but you can request a community screening from the owners. Christopher Dodd, a.k.a. Chris The Freelancer is a popular travelling freelancer on YouTube. His videos document his path from office drone to travelling freelancer. YouTube is a great first place to look for documentaries and short films on the topic. Until ‘working online' and travelling becomes mainstream, nomads need to make sure that their tax obligations are taken care of. A lawyer who understands the remote working scene will be better placed to advise you. There are some advantages and disadvantages tax-wise with working outside of the country where you pay contributions. This discussion on Reddit will help you find and choose a tax lawyer. Blogger, lifelong learner, entrepreneur & musician from Ireland. I've been travelling and living overseas for over 20 years. My mission is to build businesses that allow me to have a simple and independent lifestyle. In the process, I hope to help myself and others with my writing. I’d like to add that nomadbusinessdirectory.com is the first and only online directory of location independent service businesses. If you offer a service, please add yourself to the directory! As someone who has been a full time digital nomad for 5 years I can say this article was spot on. Two thumbs up from me. I'm Keith. A writer and traveller. I write about travel, business, and languages.